A modern, laid-back fit. Roomy feel, but not baggy. More than 140 years after inventing the blue jean, one thing is clear: Levi s clothes are loved by the people who wear them - from presidents to movie stars, farmers to fashion icons, entrepreneurs to the everyman. 'Live in Levi s asserts with confidence and pride that Levi s clothes are indeed for everybody who s not just anybody. Fabric content by color: Antonelli (100% Cotton), Big Springs (100% Cotton), Black (99% Cotton, 1% Elastane), California Native (100% Cotton), Carry On (100% Cotton), Dark Chipped (100% Cotton), Herbaceous (98% Cotton, 2% Elastane), Ice Cap (100% Cotton), Indie Blue (100% Cotton), Jagger (100% Cotton), Kale (100% Cotton), Levine (98% Cotton, 2% Elastane), Mood Cove (99% Cotton, 1% Elastane), Mute Hurricane (98.5% Cotton, 1.5% Elastane), Pepper Pot (59.23% Cotton, 39.06% Polyester, 1.71% Elastane), Playing Possum (98% Cotton, 2% Elastane), Record Skip (100% Cotton), Rio Red - Bull Denim (98% Cotton, 2% Elastane), Rugged (100% Cotton), Static (100% Cotton), Toto (100% Cotton), Tumbled Merlin (100% Cotton), Veritable (99% Cotton, 1% Elastane), Vintage Light (100% Cotton), White - Bull Denim (98% Cotton, 2% Elastane). Dockers Size Chart and Fit Guide Everybody needs some extra breathing room from time to time. Give yourself some room to stretch out in the Dockers Comfort Khaki. Relaxed Fit - Sits naturally at the waist, full through the seat and thigh, with a straight leg. Comfort waistband allows for up to two inches of extra room. Flat front and permanent leg crease offer a casually composed finish. Signature Wings and Anchor stitched at back. Side hand pockets. Button-through back welt pockets. Belt loop waistband. Zip fly and button closure. 51% cotton, 47% polyester, 2% elastane. Machine wash cold, tumble dry medium. Imported. Measurements: Waist Measurement: 32 in Outseam: 42 in Inseam: 32 in Front Rise: 11 in Back Rise: 16 in Leg Opening: 16 in Product measurements were taken using size 32, inseam 32. Please note that measurements may vary by size. 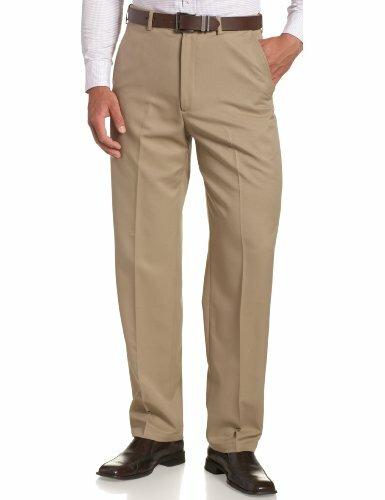 Not only does Workday Khaki stand up to the rigor of a 9 to 5, Smart 360 Flex gives comfort in entirely new directions. Classic fit is classic confidence to the core. A flexible waistband and security pockets for added mobility and peace of mind. The 501 Original Shrink-to-Fit Jeans are made from authentic raw denim that forms to your body. The fit, wear and finish are all unique to you. The 501 Original is an iconic straight fit with signature button fly. For a classic all-American look, pair with a Levi s Trucker Jacket and a simple crewneck tee. To find the right size for Shrink-to-Fit Jeans, there are three options. 1) For the old-school technique, buy true to size in the waist and two sizes up in length. Wear them in the tub and keep them on to dry. 2) For those who want to machine wash and dry the jeans, we recommend ordering up. For your waist, increase 1" for sizes 27"-36", 2" for 38"-48", and 3" for 50" and up. 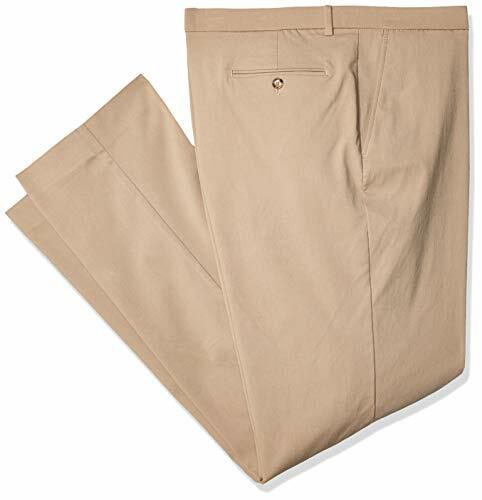 And for your inseam, increase 3" for sizes 27"-34" and 4" for 36" and up. 3) For purists who like their denim unwashed, no need to size up. Buy them true to size. For most people ,you just need to buy the size you wear normally. products exclusively.We never authorize our brand to any other seller. There is another seller who sell the suit under our listing page,but according to the feedback in his store, he never shipped the orders, please be caution about to this !!! We have update some of the suit details according to customer's feedback, Please note that WEEN CHARM Store sold this suit exclusively. Jacket Features Notched Collar Lapel, Single Breasted,2-Button Closure , 2 Front Flap Pockets on Front of Coat and Two Inner Pockets,Four Sleeve Buttons Each Side. 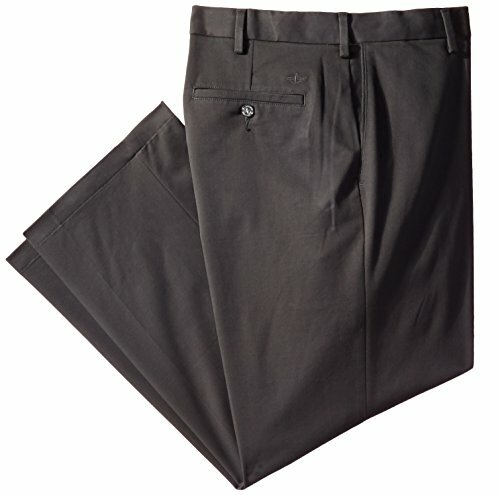 Pants Feature:Flat Front Pants with Expandable Waistband for Adjustment(You can refer to the picture on the left. ),Slanted Side Pockets . 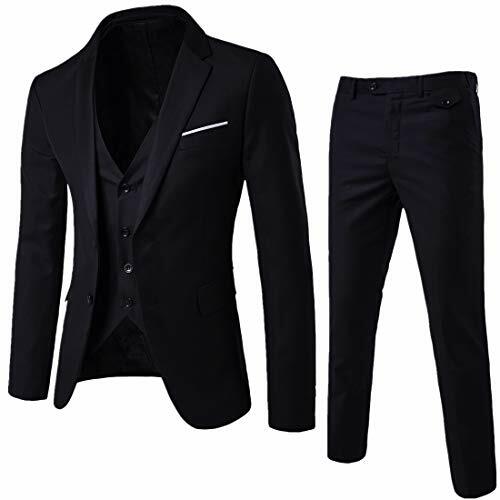 Occasion: This Mens 3 Pieces Suits Are Suitable for Party, Meeting,Banquet,Wedding, Ceremony,and Other Formal Occasions. It Will Also Be a Good Gift for His Father, Brother, Boyfriend, Husband or Other Male Friend . Suit Structure : 3-Piece Solid-Colored Suit includes Coat ,Vest and Trousers . We recommend you to wear the suits with oxfords shoes,you can find the shoes by searching B07G1ZT3D1 . We also have separate suit jacket and pants on sale,if you think the blazer,vest OR trousers of the suit set may not fit with you .You can choose separate blazer and pants.Here is the ASIN. 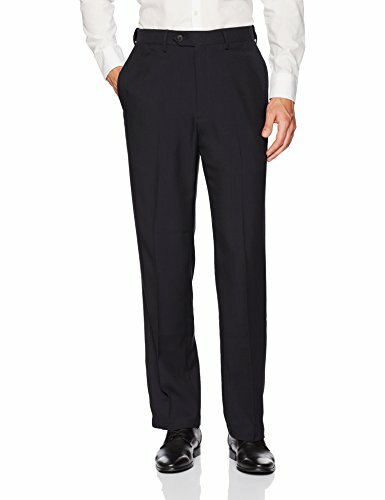 Suit Jackets: B07B2Q95BD Dress Pants: B07L8BR454 . With our E-CLO Dress Pant, we make looking great incredibly easy. Who would have thought a fabric that looks and feels this good could be machine washable. Knowing they're made from recycled water bottles will make you feel good. The hidden expandable waistband will make you feel even better. American Chino Flat Front Straight Fit Pant is the idea addition to your wardrobe. This pant can be worn for work or play, giving any outfit a classic, preppy look. The straight fit has a moderate rise on the waist and is straight through the leg and ankle. Features a belt loop waistabnd and zip fly with button closure. Ready to wear. Arrives with a finished hemmed to avoid extra tailoring. Updated classic fit, flat front, side pocket pant with belt loops and zipper fly. Great for your 9-5 work week, or a night out. Gently tappered, creased leg and comfort, performance fabric. Tailored between classic and slim for an up to date appearance. Multiple colors for any occasion. Pairs well with a button down and blazer. 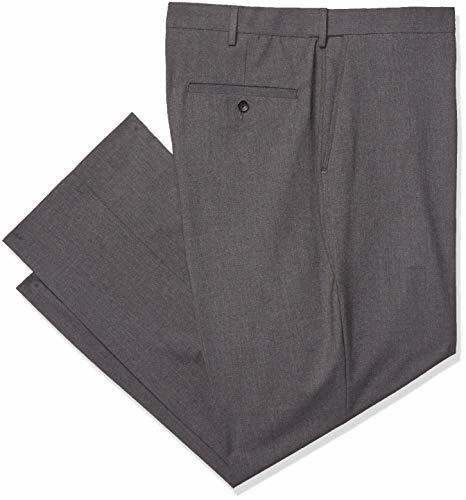 These microfiber pants have a tonal mini herringbone pattern on them and a stretch waistband for comfort! Look no further for the most versatile pant that can be in your wardrobe. 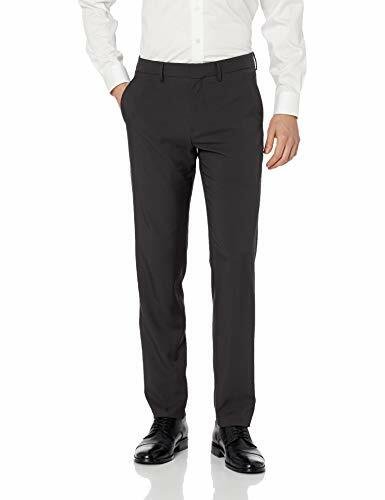 The stretch comfort dress chino wonderfully bridges the gap of business trousers and casual, athleisure pants. The expandable waist adds even most ease of movement. 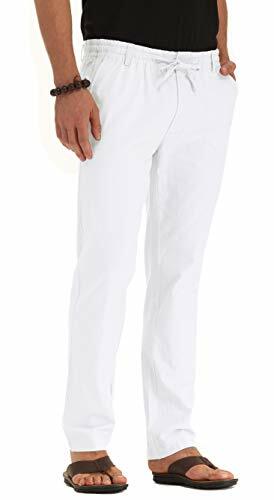 Designed with the modern man in mind, The flat front, subtle tapered leg creates a fantastic outline. 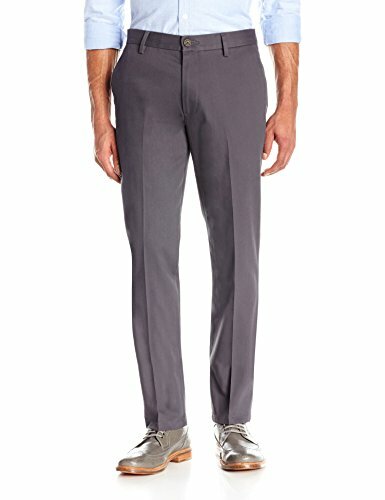 The engineered fabric, expertly blended allows you to wear these pants for any occasion: golf, weddings, work, friday nights, you name it. Flat front, finished hem, no cuff for a versatile look that can be worn at work, or casually out of the office - even on the links. 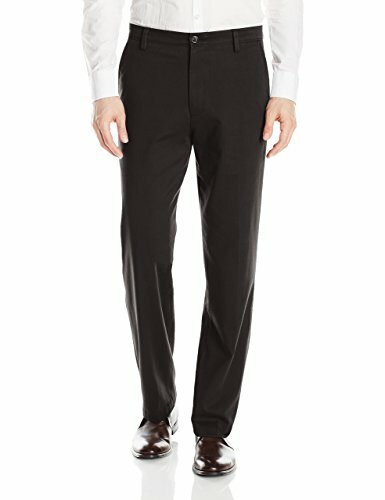 Perry Ellis portfolio slim fit stretch textured solid flat front dress pant. Zip tech pocket on wearer's right side. 50% Polyester, 47% Sorbtek 365 Polyester, 3% Spandex. Off seam front pockets. 67% Polyester, 28% Viscose or Rayon, 5% Spandex.